Just how long will Chiefs’ patience last? Strangely, there was barely a murmur of discontent at Bidvest Stadium on Saturday afternoon, as Kaizer Chiefs went out of yet another cup competition under the guidance of Steve Komphela. Perhaps the thousands of Amakhosi fans who had gathered at the sold-out ground were simply being polite visitors. Perhaps they were happy enough with Kaizer Chiefs’ spirited second performance with 10 men that they deemed this 1-0 defeat to Wits in the Telkom Knockout semifinal as acceptable. Or perhaps they have just got so used to failure under Komphela since he joined in 2015 that on this occasion they didn’t have the energy to get angry. Yet there is certainly a question that has to be raised, at this point, about exactly how long Kaizer Chiefs president Kaizer Motaung is prepared to accept this failure, is prepared to back his man, before a necessity for results supercedes how much of a gentleman Komphela is, and how badly the club want the first local coach they have employed in a long time to succeed. A first season without a trophy at a club the size Chiefs is fair enough, for a man embedding his ideas, his philosophies on a team. It does not always happen, as it did with Stuart Baxter, that a coach just comes in and immediately wins the title. A second season without silverware, and the criticism can only get louder, especially if, as with Komphela, there is no previous track record of filling up a cabinet with trophies. And now we sit in the 2017/18 season, with the MTN8 and Telkom Knockout already gone, and with a title challenge that can’t be said to be purring, when you have won just three of 10 league games. It is a mark of the inconsistency of the league, frankly, that they are only three points off first place. Komphela’s tactics tend to be too cautious, too afraid of losing for a man with his eye on the major prizes. Against Wits he started with two defensive midfielders in Wiseman Meyiwa and Willard Katsande, and Bernard Parker as a lone striker. Only when Meyiwa was sent off and Wits took the lead did Komphela take a risk, bringing on Gustavo Paez for defender Daniel Cardoso at half-time. Immediately Chiefs were far better, outplaying Wits even with 10 men, and they probably deserved to take the game to extra time. But what if Komphela had chanced it with 11 men, and played and started with in-form playmaker Hendrick Ekstein in midfield instead of Meyiwa, as well as combining Parker and Paez from the off? The benefit of hindsight makes it conveniently easy to illustrate this, but surely the Chiefs coach needs to be braver in his team selection? 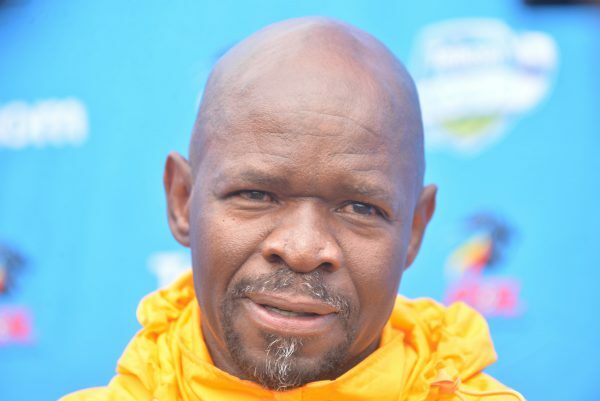 Komphela shrugged off a question about his future after the loss and there is absolutely no sign at the moment that Chiefs’ management are looking at showing their man the door. But for how long will they put up with a barren trophy cabinet? Komphela and Kaizer Motaung know all too well the demands of most Chiefs fans, and that the lull at Bidvest Stadium on Saturday is unlikely to last if he cannot deliver. Unless vast improvements are seen it does seem a matter of when, and not if, Komphela will be shown the door.